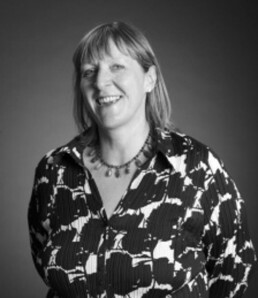 Fiona is CEO and Creative Director of The Space, the organisation founded by the BBC and Arts Council, England to support artists and organisations to make great art and reach new audiences digitally. Her expertise in producing content that straddles the arts and technology, is leading the organisation into its next phase of development, following its move to Birmingham in January 2016. Fiona has extensive experience working with arts organisations and artists from around the UK producing films for UK broadcasters, online and cinema and since joining The Space has commissioned a wide range of projects including Complicite’s The Encounter (winner The Stage Innovation Award 2017), Artichoke’s London 1666 and the award-winning VR experience from 59 Productions My Name is Peter Stillman (Best Expanded Animation, British Animation Awards). She delivered the world’s first live 3D opera, Mike Figgis’ Lucrezia Borgia, a 3D worldwide cinema release of Matthew Bourne’s award winning Swan Lake, co-produced the first live museum broadcast from the National Gallery Leonardo exhibition and produced a two-part documentary following the creation and presentation of Michael Sheen’s Port Talbot Passion.